In addition to excitement surrounding the debut of the Marvel show "Iron Fist," there has also been controversy. The Netflix series came under fire after casting Finn Jones, who is white, as the martial arts superhero Iron Fist. Though the character was also Caucasian in the original comic book material, the show has been criticized for not giving an Asian actor the opportunity in a story heavily influenced by Asian culture. Roy Thomas was Marvel's editor-in-chief when he co-created the character of Iron Fist in 1974 with Gil Kane. "Don't these people have something better to do than to worry about the fact that Iron Fist isn't Oriental, or whatever word," Thomas said in a recent interview with Inverse. "I know Oriental isn't the right word now, either." Use of the word "Oriental" to describe Asians caused some outrage. "- that Iron Fist isn't Oriental, or whatever word? I know Oriental isn't the right word now, either." 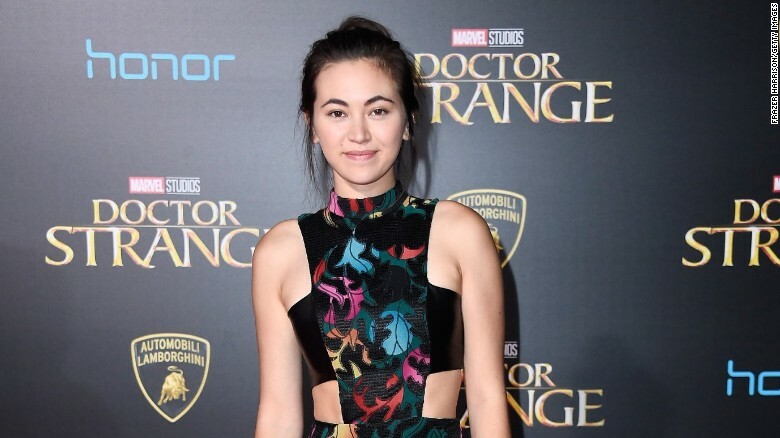 When the co-creator of Iron Fist calls Asians "Oriental, or whatever"
"Oriental is a term used to describe rugs, not people," wrote "Iron Fist" star Jessica Henwick in a tweet. Oriental is a term used to describe rugs, not people. "Iron Fist" fans disappointed that an Asian or Asian American actor was not cast in the lead role used the hashtag #AAIronFist. Jones briefly left Twitter after he debated with one user over his character's ethnicity.